It is always nice to receive impressive wedding invitation or stationary in the mail. 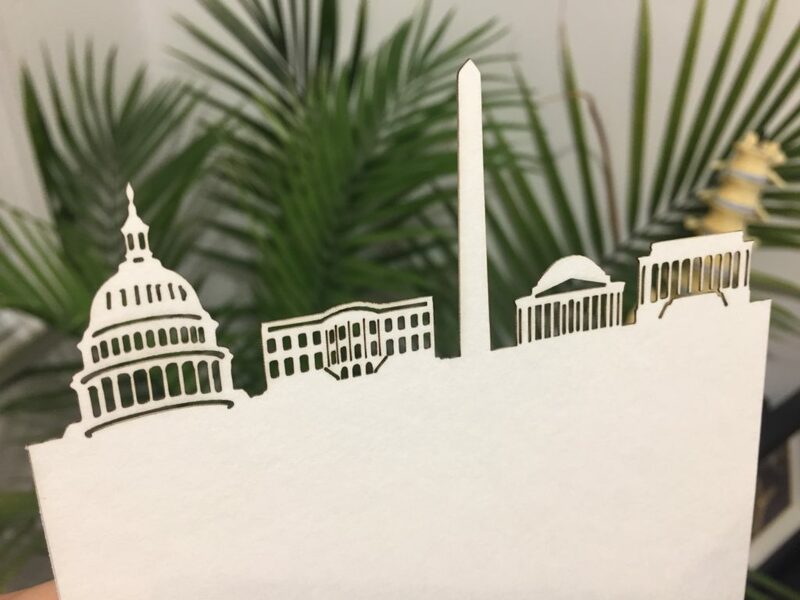 LaserCutZ just finished custom laser cut paper invitation pockets that are decorated as Washington DC monuments silhouettes. Those are cut form grey cardstock with our CO2 laser. With perfectly fine tuned job small details are possible to laser cut and what is most important there is no smoke build up on cut edges. Having wedding invitations perfectly clean without any burning on edge is very impressive and not too many can achieve that quality. We build out machines and our state of the art paper laser cutting machines can handle paper cutting without burning. Sample parts produced for a NY window company. Part is metal cylinder and it got serial number text engraved along the circumference. Laser marking on cylinders, tubes, pipes rings etc needs to be done with rotary too. With rotary part is being spinned by a stepper motor when laser works and in this way printed text or artwork covers whole face of the cylinder wall. 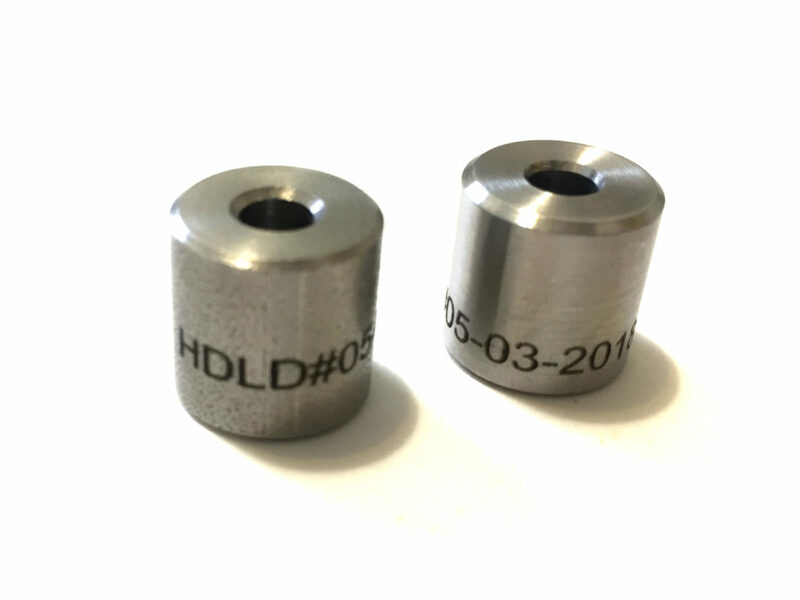 LaserCutZ laser engraving machine can do automatic serial numbers or date time stamp for each part we engrave.